Take a look at the new shows that will be on NBC this Fall! 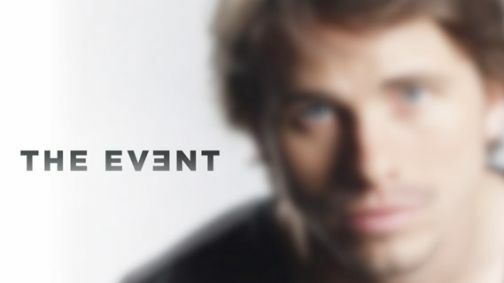 The Event (9:00 p.m. ET) – We’re going to cover all the events that happen up until The Event. So stick to The Reel Place in order to get all the latest news, reviews, and commentary on NBC’s new show. Like I said in an earlier post, The Event and its cryptic commercials have gotten me interested in the show. What is The Event? Should we care? All I know is Blair Underwood is the president, and that makes me happy. I don’t know why that makes me so happy, but it does. My one reservation about the show is that by the ambiguous commercials it feels like I’m setting myself up for a show that will always present more questions than it answers. Also, are they going to stretch out this show? What happens with The Event happens? Then what? Show over? Chase (8:00 p.m. ET) – What would the Fall be without at least one supposedly new take on the cop show genre? Chase is about a team of US Marshals who track down fugitives. What’s the big twist? They’re led by a hard-nosed, take-no-crap woman named Annie Frost. Her last name is as cold as she is, and she never lets a fugitive escape. Not really excited for this one as it doesn’t look much different from the dozens of cop shows already on the air. Undercovers (8:00 p.m. ET) – J.J. Abrams has his hands in all sorts of cookie jars. This time he’s bringing another Alias-like spy drama to TV. Basically the plot of Mr. and Mrs. Smith, a couple of ex-CIA agents are re-activated. Only this time they both know the other is an agent and they work together to bring down the bad guys. I can’t really get myself excited for this show, but who knows. Abrams usually delivers, even with generic genre stuff like this one. Outsourced (9:30 p.m. ET) – This could be a really funny show. Outsourced will premiere in line with NBC’s Thursday line up including The Office, Community, and Parks and Rec. It’s about the troubles of outsourcing and a manager that has been sent to India to oversee a bunch of customer service reps. Really funny premise, and I can already guarantee you it’s better and funnier than what The Office has become. Outlaw (10:00 p.m. ET) – I don’t know much at all about this show other than it stars Jimmy Smits. IMDB.com only gives a short description about it saying that it’s about “A former Supreme Court Justice that starts his own firm.” So, you’re looking at another courtroom drama series. Not sure that the Supreme Court Justice puts enough spin on this already tired TV genre. Supposedly he’s like the Tony Stark of Supreme Court Justices, so it’s safe to say he’ll be bending all the rules.